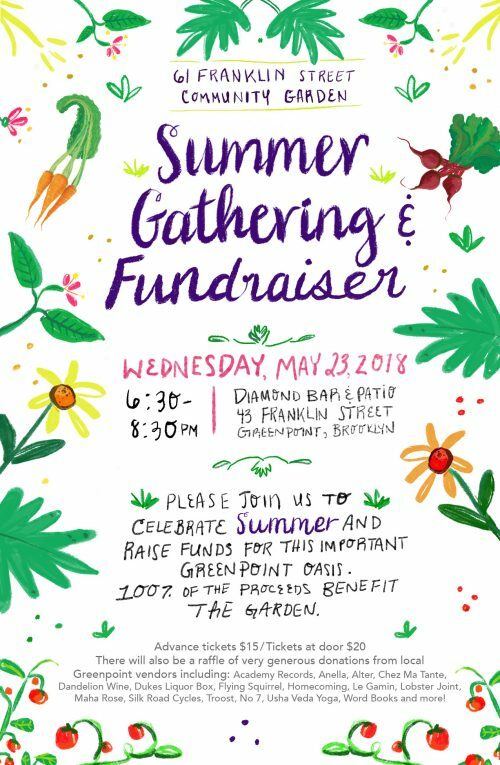 The 61 Franklin St Garden‘s annual summer cocktail benefit party is happening Wednesday, May 23 from 6:30 – 8:30pm at The Diamond (43 Franklin Street). Expect live music by local musician Chris Morrissey, and a BBQ with sausages on the back patio. And, a raffle! Each $15 ticket purchase includes one free drink. Tickets are available here, and you can also donate too if you can’t attend. All proceeds go towards the Garden.